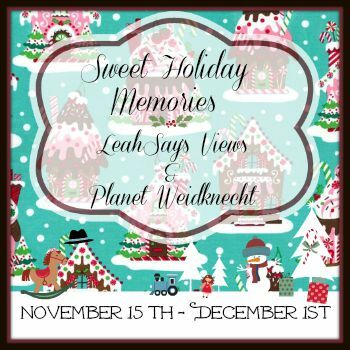 From November 15-December 1, you can hop to all of the participating blogs listed in the linky below and enter to win great prizes on each blog! For over 80 years, the Kit-Cat Clock has delighted with its rolling eyes and wagging tail. 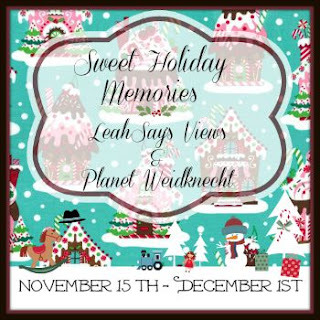 Talk about Sweet Holiday Memories! Did you get one for Christmas when you were a child? Did you even realize they still make them? The Kit-Cat Clock is made right here in America. It's constructed of plastic, so it's perfect for a child's room, a playroom, or anywhere in your home that you'd like a touch of nostalgia. Kit-Cat Clock is still made true to the original design. Kit-Cat Clock comes in classic black, or you can choose from a whole host of other colors. There's also a lady kit-cat design and a smaller kitty-cat design. You can even mix and match tail and tie colors with extra accessories. The Kit-Cat Clock is battery operated and you can view the inner workings of the eye and tail movements when you remove the back cover. A hanging slot on the back of the clock means it's ready to hang right out of the box. What a great holiday gift idea! Order your iconic Kit-Cat Clock today at https://kit-cat.com. Be sure to follow them on Facebook, Twitter, and Pinterest, then enter below to win a Kit-Cat Clock! Win the iconic black Kit-Cat Clock! To enter, just fill in the giveaway form below. Giveaway is open to US residents ages 18 and up. Giveaway ends on 12/1/2015. Good luck! I like the Classic Black Kit-Cat Clock! I like the original black and the scarlet! I like the classic black the best, thank you for the chance to win! I like the hunter green cat! Darn- sure wish this would of been open to Canadians- so cute! I love the Radiant Orchid Lady Kit-Cat Clock. Although my husband, who is most certainly not a lady, would like it too! I like the classic black one the best. I would like the Classic Black Cat clock. I would love to have the classic black. I remember this from years ago. I'd like the classic black...My previous landlord had a vintage one of these in his basement and I've wanted one ever since I saw it. I like the Hunter Green color. It will go best with my kitchen decor. I like the scuba blue. Honestly I love the black the best but honeysuckle pink is cute too! I really like the Pink Kitty Kat, because it would match Gracie's room! I like the strawberry ice lady kit-cat clock. My teen would absolutely love this!!! I really love the game day orange clock because I'm a huge fan of orange, but you cant beat the classic black one. The Honeysuckle Pink one would go with my great granddaughter's room. She would love this. Oh I really love the Classic Black Kit-Cat Clock! So adorable! I like the Emerald Green Lady Kit-Cat Clock! I think the black is the best. I love the Classic Black (but I would get him a blingy tie!). So cute! I love the black color! Can't beat the classic black! I like the classic black the best. Although, they are all very nice. I love the classic black but would love any of them! I have been obsessed with these clocks since I was a kid.I totally have to get one! courtafi2138 at gmail dot ocm. My daughter would absolutely love the Strawberry Ice Lady Kit-Cat Clock. I think I like the classic black. Anything other than black is just wrong. I grew up with a classic black one in my kitchen and that would be what I'd go with for my own kitchen. I am in #love with the classic black! My kiddo would love this! My favorite is the purple one!! I love the Radiant Orchid clock. I like either the Classic Black or the purple one! I love the Hunter Green Kit Kat Clock and I WANT one! I like the Classic Black the best! My favorite color is Red so "Scarlet Game Day Kit-Cat Clock" would be my first pick. I really like the Hunter Green clock for my kitchen. How cute. My favorite color is the classic black. I would get the Strawberry Ice Lady Kit-Cat Clock. I like the Classic Black cat the most, but the Hunter Green is neat too! I like the black boy clock the best, but if I had to chose another one I'd like the black girl clock. I love her pearls. I love the hunter green one. This is such a cute clock. I'm glad they still make them. I love the classic black! I have been wanting one of these for years!! I would like the Hunter Green Limited Edition Kit-Cat Clock 15.5″ high. I love the Radiant Orchid Lady Kit-Cat Clock! I really like the hunter green. Thanks! one book shy at yahoo dot com.. I would prefer the black. Growing up a friend had one of these clocks and I used to love watching it. I want the black and white, my sister had one like it when I was small. I like the classic Kit-Cat Clock in Black the best. We like Hunter green. It would match my den better. I love the Classic Black cat. I like the Strawberry Ice color clock. I like the Candy Cane Red Kit-Cat Clock the best. These are so cute! I love the Emerald Green Lady and the black. Of course, the classic black Kit-Cat Clock is a favorite, but I also like the Strawberry Ice Lady Kit-Cat Clock--she's pretty snazzy. I like the Classic Black Kit-Cat Clock best. I like theirr classic black color the very best. It is iconic in black. Would love the earring to go with it! I like their Classic Black Kit-Cat Clock the best. I remember these from way back as a kid. Hi Lisa I do like the classic black the most. I like the Black ones in honour of our real black kitties! Thanks and God bless! I like the Modern Art, the interchangeable ties are adorable. I like the burgundy colored clock. I like the classic black cat clock the most. My favorite is the White Lady Kit-Cat Clock! Thanks for the awesome giveaway! I like the Classic Black and Red is nice too. I like the Candy Cane Red Kit-Cat Clock. I like the classic black cat best. I like the black best! I want the Classic Black one! Visit Kit-Cat Clock and leave a comment below, telling me which clock color you like best.